The loss of teeth can occur for many reasons, and dentures have been used to replace teeth for many years now. The loss of teeth can occur for many reasons, and dentures have been used to replace teeth for many years now. 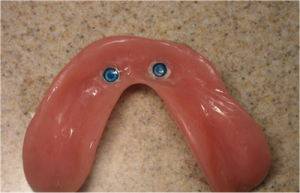 Modern day dentures can look very realistic and natural and feel comfortable to wear. Alternative methods used to replace missing teeth include dental implants and fixed bridges.Dentures are usually made from acrylic resins and here at Mossley we can give you a number of different options, including the latest Valplast cosmetic dentures. To avoid possible movement when eating, dentures can also be securely fixed in place by the use of dental implants or mini implants. Increasingly more of our patients at Mossley opt for this type of treatment, as they have a dramatic effect on improving your quality of life. Please call reception on 01457 837361 to arrange an initial free consultation with Mr Watson who can advise you on the options available to you concerning dentures and implants. There are many different types of dentures and the costs vary depending on which type is best for you. At Mossley Dental Care we provide all the major types including acrylic, flexible and chrome dentures. We use only the best denture materials including high quality, lifelike tooth moulds so your dentures will look natural. We can provide you with a quote for dentures if you attend for a free initial no obligation consultation. A Denture can have either a chrome base or an acrylic base (plastic). There are pros and cons of each type and some dentures are not suitable for all people. 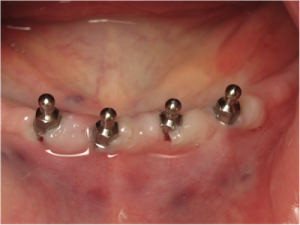 We also offer dental implant retained dentures which are held in place by dental implant fixtures and are very stable. We also offer flexible plastic dentures which tend to be very well fitting and may be an option if you have loose dentures at the moment.